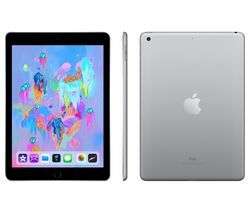 We have a huge selection of different tablets, such as Apple iPads and Android tablets, and can help you find the perfect one to suit you and your needs. 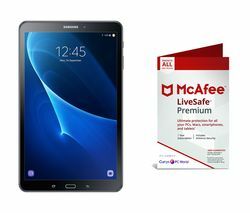 Whether you want to stream films in bed, take notes in lectures, or simply want to keep an eye on your social network, there’s a tablet to suit you and your budget. If you know the sort of thing you’re after you can search for brands, models, or specs. If you’re just looking or haven’t made your mind up yet, we’ve listed a few things below to consider when you’re browsing. Tablet screen quality is measured in pixels per inch (ppi). Because screen sizes and shapes vary so much, ppi gives you a universal number that makes comparing the sharpness and clarity of screens between different sized tablets easier. The higher the number, the better the picture quality. An easy way to see how fast a tablet will run your apps is by checking the processor. Dual-core processors are great for everyday browsing, while quad and octa-core processors are better for gaming and creative use. Some tablets have full-size laptop processors, which make them ideal for design and media editing on the go. Like laptops and mobile phones, tablet storage is measured in gigabytes (GB). The higher the number, the more data you can store on your device. If you’re using Cloud storage or don’t expect to save much media, up to 16 GB is ample. 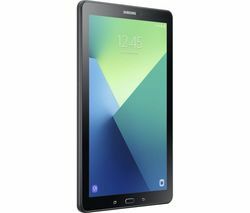 If you want to watch films offline or carry a lot of music, look for a tablet with 32 GB and up. Each tablet we sell has built-in WiFi, so you can always get online at home, the office, coffee shops, and more. 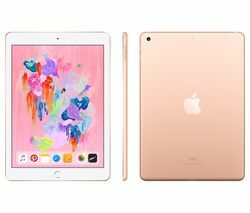 4G tablets let you access the internet the same way your smartphone does, and are great for working away from the office, streaming films during long journey, and more. An eReader with a backlit screen is ideal if you like to read at night or in lower light conditions. The text is lit from behind, so there’s no glare like you’d get reading under a light.